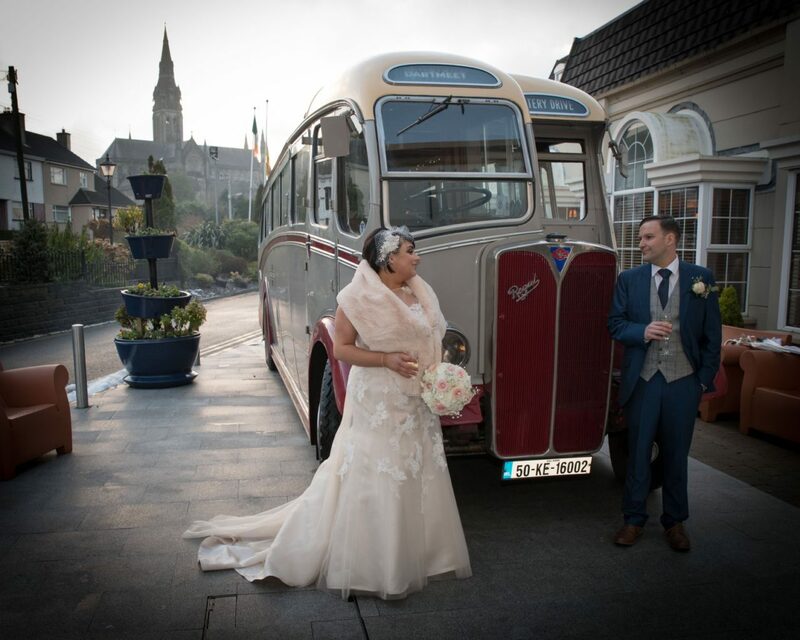 We met… In the Hillgrove Hotel in June 2011, we both worked in the Bistro bar at the time. Our friendship blossomed and after a few months we started going out with each other. 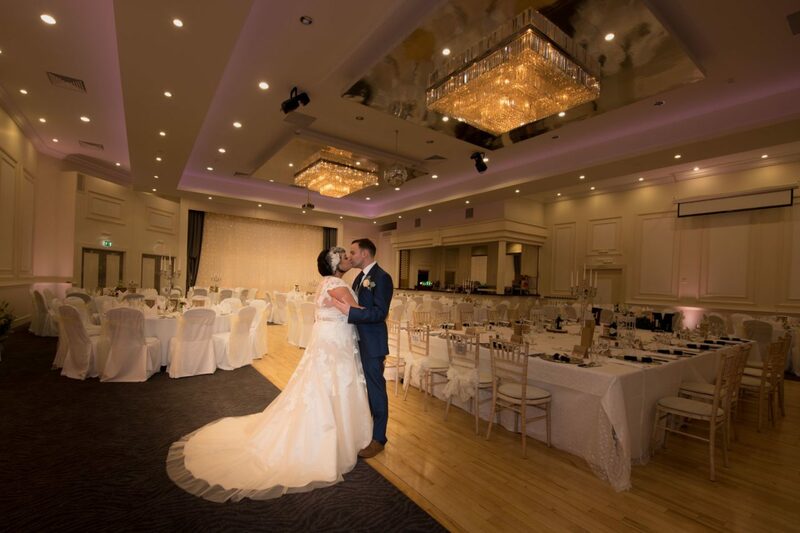 Our proposal… Sheraton Hotel Athlone on 17th January 2016. 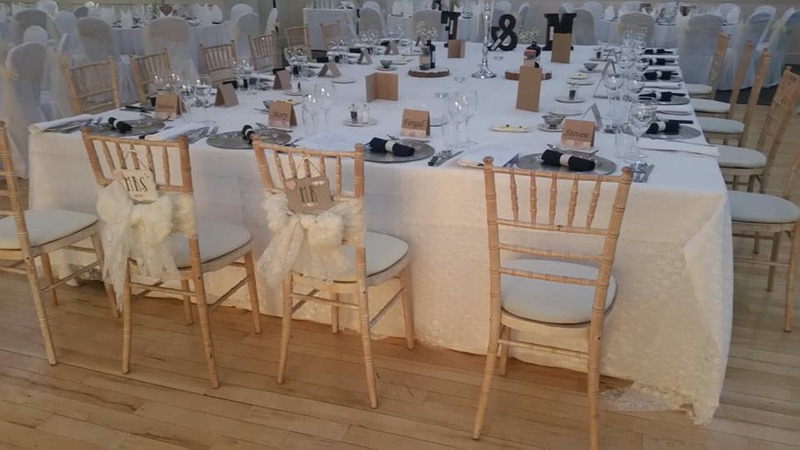 In 2016 the trend of floral prints and burlap was all in and I just loved it, we chose the Da Vinci & Rembrandt Suite with its elegant cream and gold tones it suited our theme perfectly. 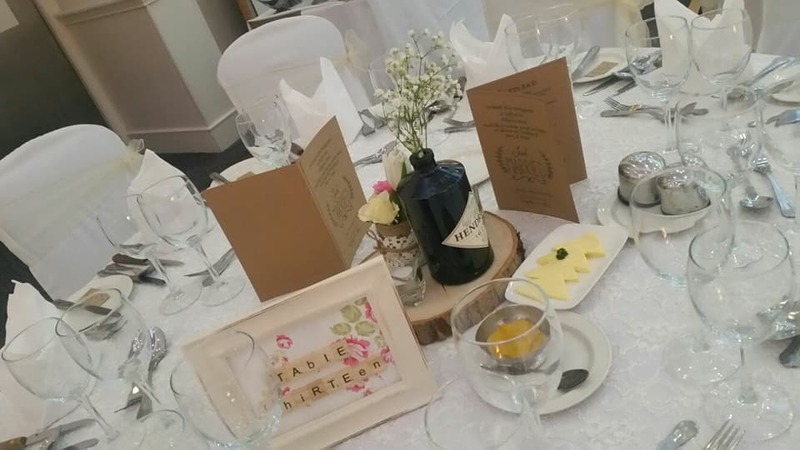 Myself and my bridesmaids spent hours hand making all the jars, table number frames and table plan. 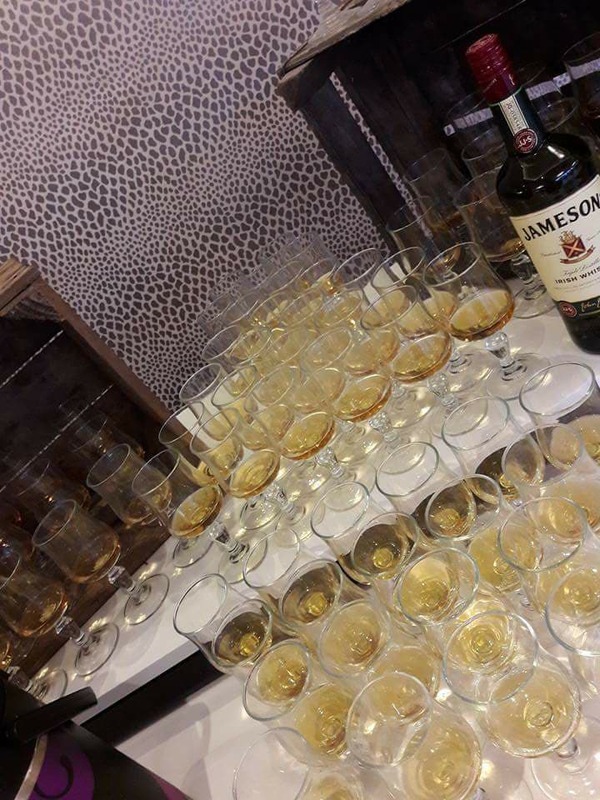 My favourite part of the planning! 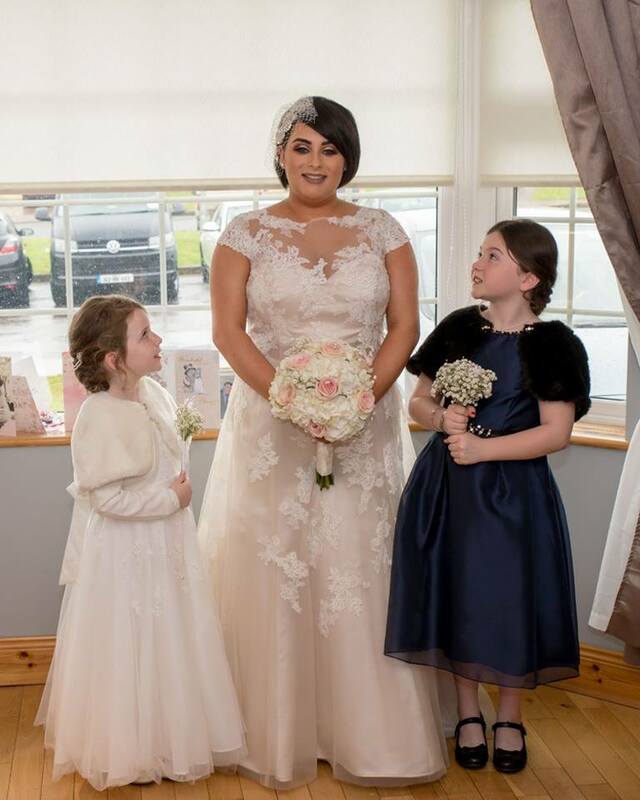 My dress… My Perfect Day Lurgan. Split Ends Clones, Hair by Morganna/ Make up – Julie Maguire Makeup, Clones. Morganna has been my hair dresser for years and understands what I like. I felt the pressure from everyone to grow my hair and have it a certain way as I thought this was what brides needed to have. However 3 days prior to the wedding, I thought sod this and cut it all off J Felt so much more like myself. Girls, it’s your wedding day do as you want! Don’t let anyone tell you different. Same went with my make up, Julie has been doing my make up from when she first started. I love my make up and a bit of glam. 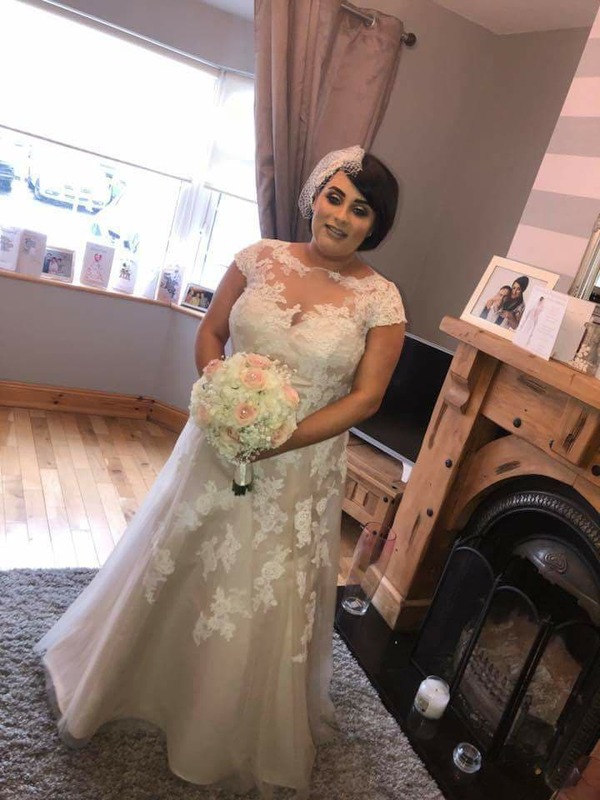 I decided from the start my make up would be me, full glam! So again do as you feel, don’t let anyone tell you it has to be “natural” and a certain way! I loved it, and after going to bed at 5.30am and having 3 hours sleep it was still perfect the next day! 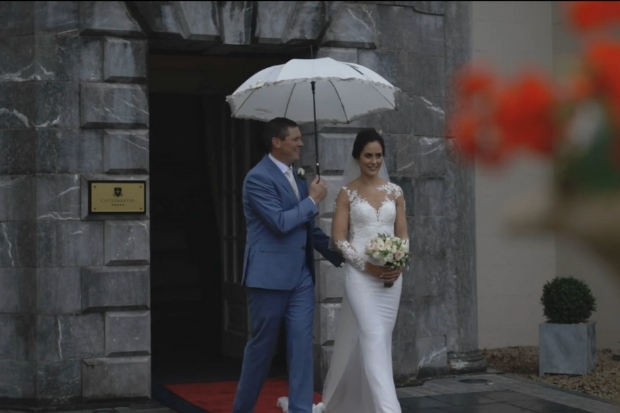 His suit… O Cathalain’s Menswear Culloville. 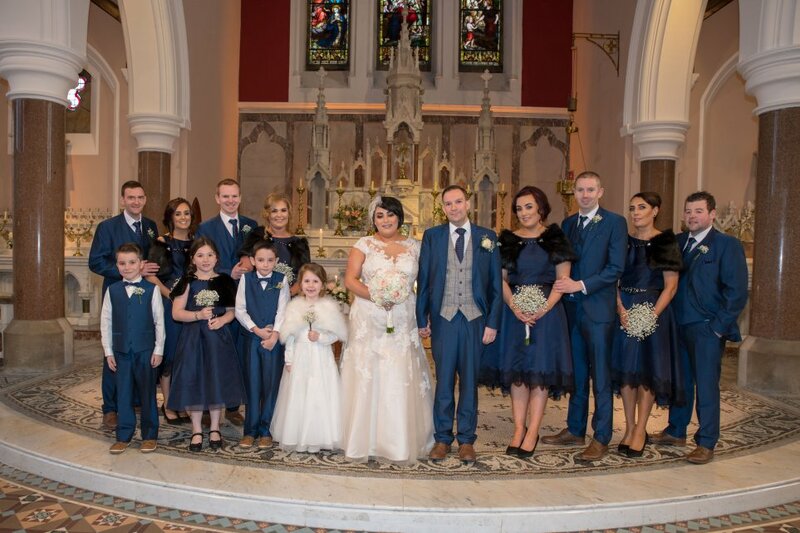 What our bridal party wore… Dessy Collection Dresses Wedding World Gallery Fairview. 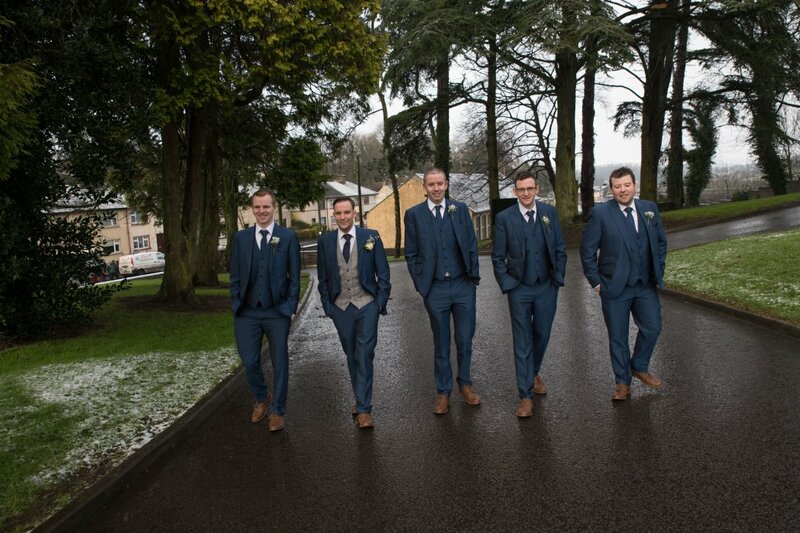 Mens – O Cathalain’s Menswear Culloville. 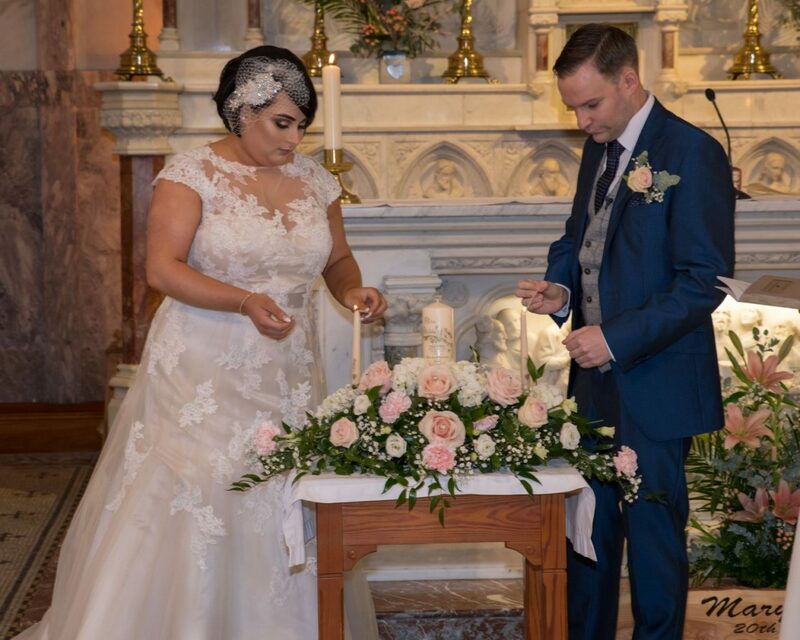 Our ceremony… Sacred Heart Church Clones. 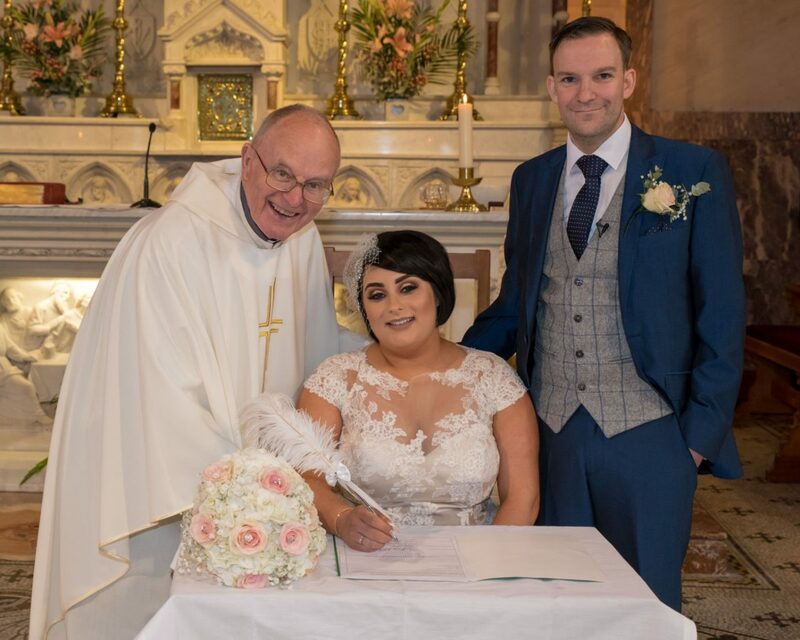 Our priest Father Gerry White married my parents 30 years previous, it was really special to us that he agreed to marry us. My dad and my uncle were always good friends with Gerry over the years so it made our mass so much more personal, I loved every minute of it. He made us very at ease. Ken Doyle is a family Friend of ours. His attention to detail in his wedding albums is amazing, he spends hours editing and touching up your photos to ensure they are perfect. 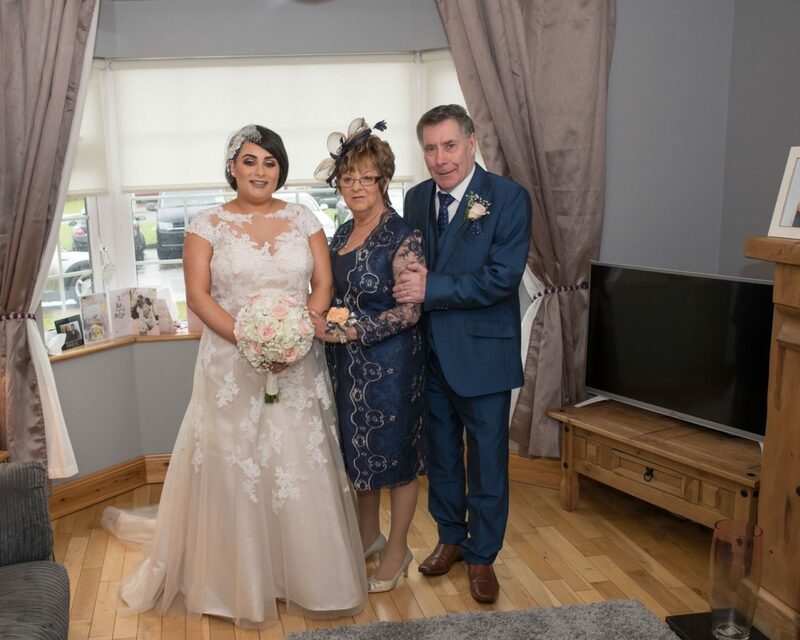 Ken and his wife Eileen are so lovely to deal with, nothing is too much trouble for them. I sent Ken many a request for the wedding and nothing was ever a problem. He is really good value for money, the photos and albums we received were worth double the cost. 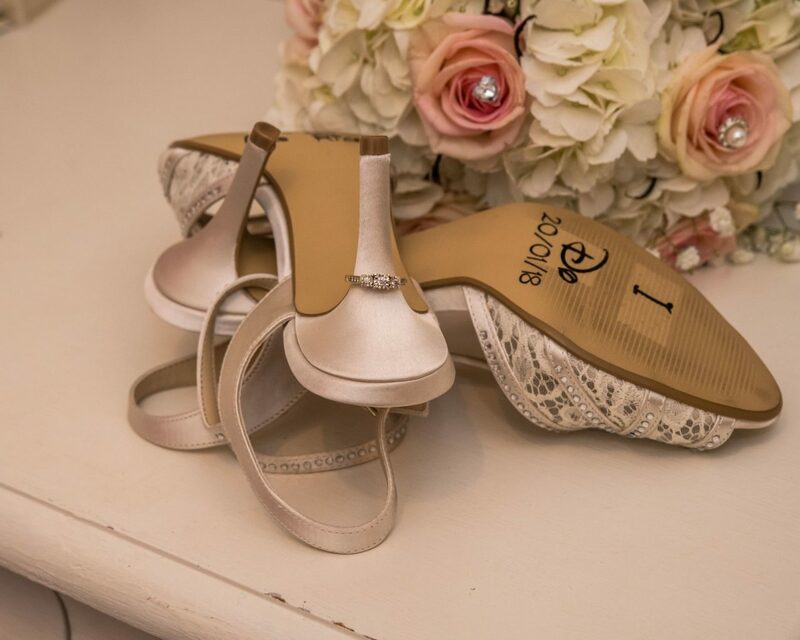 I would highly recommend to anyone getting married! 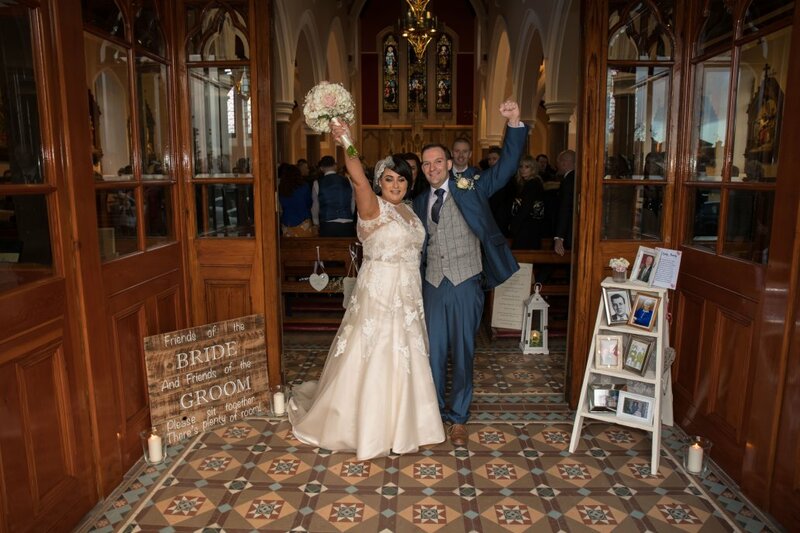 We chose our wedding coordinator because… I worked alongside Linda running the weddings in the hotel, as I am a wedding coordinator myself. Linda made sure everything I wanted was done perfectly. The food and service we received on the day was perfect. I couldn’t of faulted a thing! 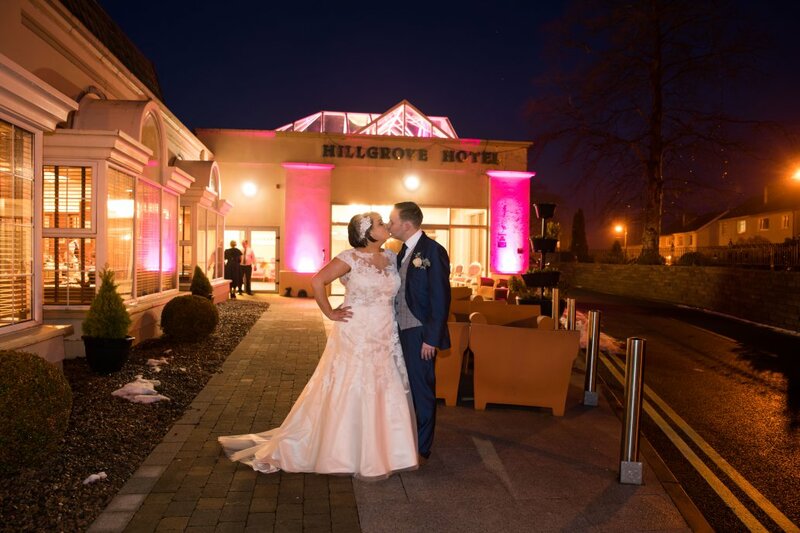 We chose our venue because… We chose the Hillgrove Hotel as our venue because the Hillgrove has a special meaning to us, we both met each other here at work years previously. 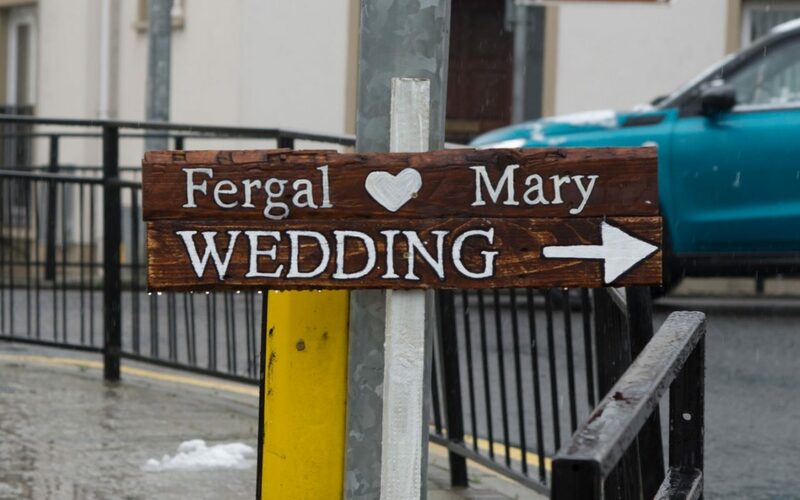 We felt very at home here, we did look around locally when we were choosing our venue and nothing compared. 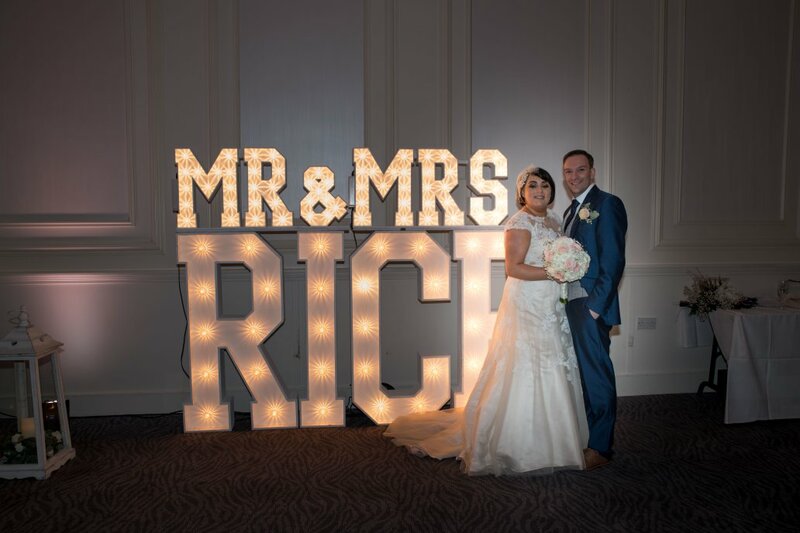 Food was always something that was hugely important to us with over 300 guests invited I wanted to make sure everything would be perfect on the day, and the Hillgrove I could trust. 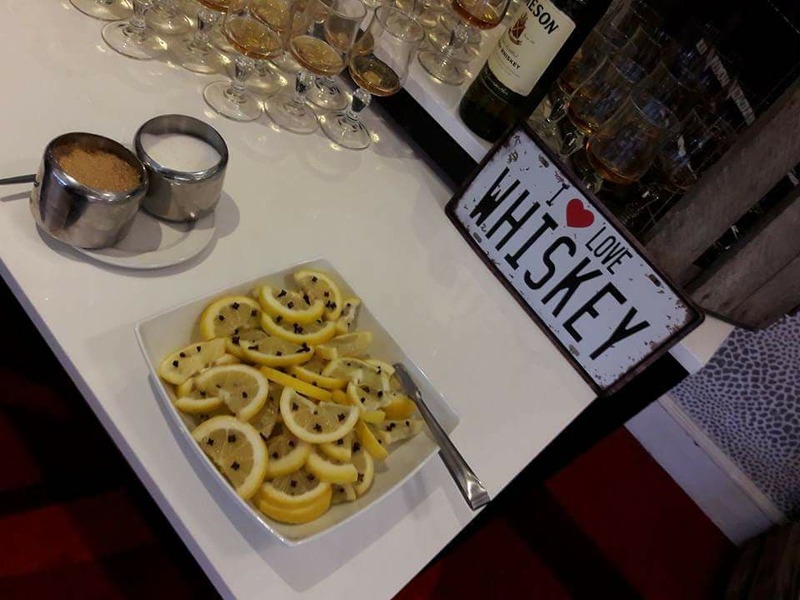 I dealt with our head chef the whole way through the planning and picked the menu and drinks reception I wanted, which was amazing J We chose curry chips for our evening suppers which went down a treat! Even to this day a year later people still talk about our wedding food! Exactly what I wanted! 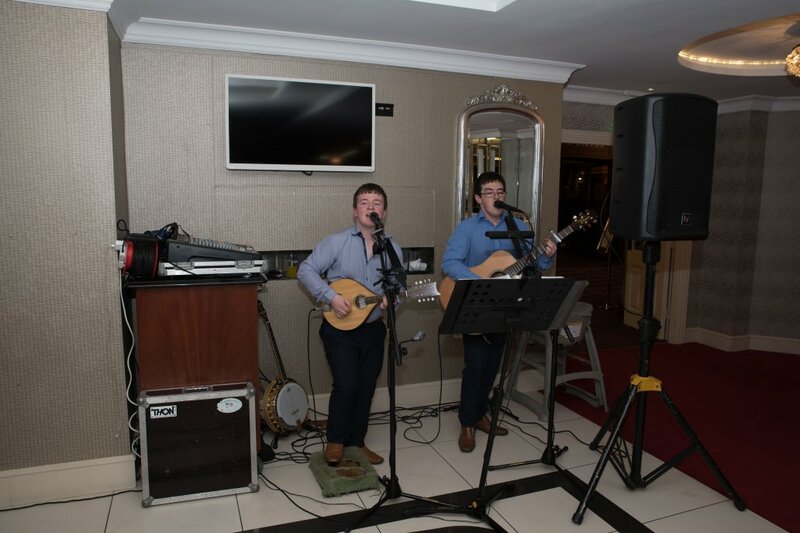 No matter where you chose for your wedding venue the two biggest factors you have is your food and band, if you get that right everything else falls into place! Our honeymoon… Thailand for 2 weeks, travelled to Bangkok, Chaing Mai & Phucket amazing 30 degree weather in January. 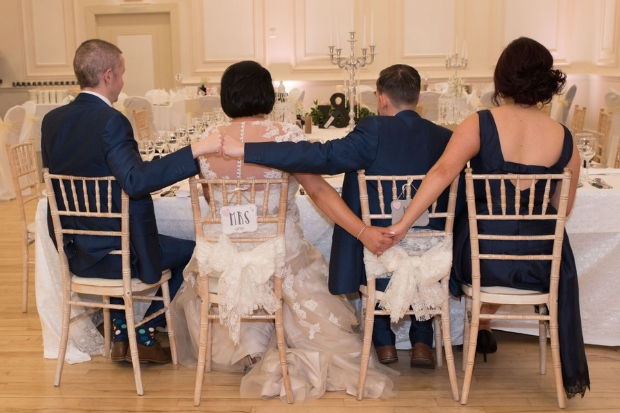 My favourite part of the wedding day… That’s a hard one! I honestly enjoyed every minute of it all. 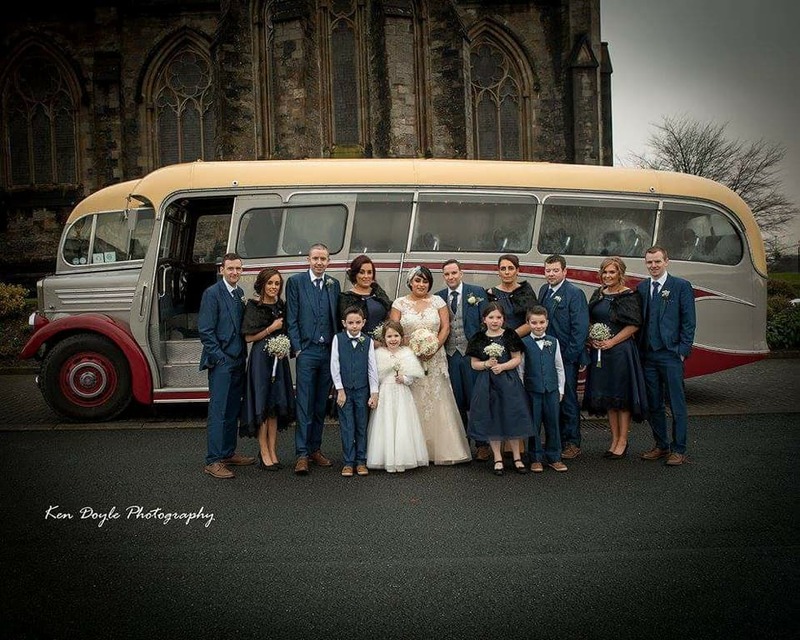 My favourite part has to be arriving to church and hotel and seeing all my handmade décor in place, seeing my vision in reality was amazing. We also had camouflage (singing chef) to surprise our guests and Greg also took out my husband’s birthday cake as part of his as it was my husband’s birthday the day we got married. 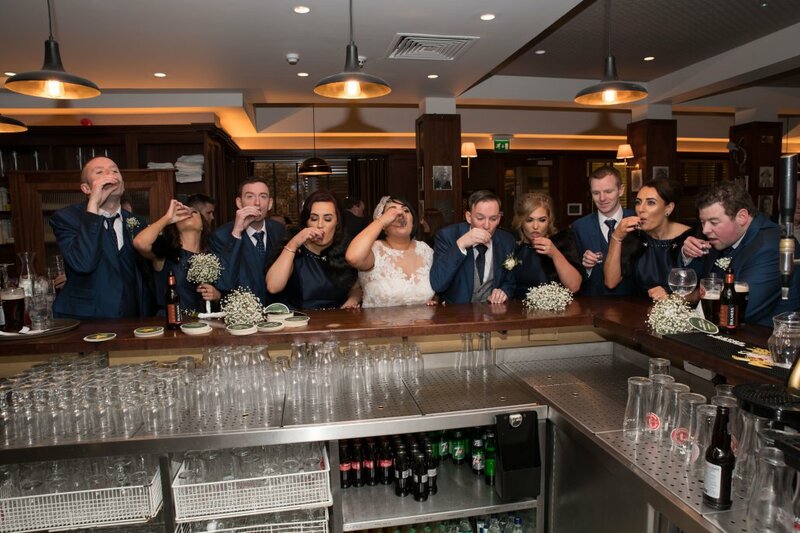 When Gregg started most of our guests assumed it was the actual chef until they realised how good he really was, Gregg created the most amazing atmosphere in the function room, it was only when we received our wedding video back we could see the 310 guests going mad for him! Honestly was the best money we spent! 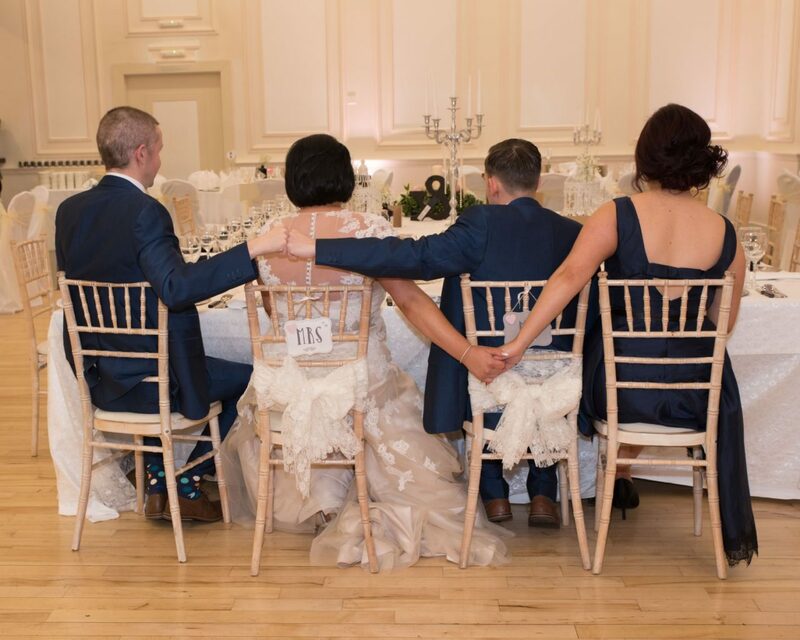 My piece of advice for other couples… Relax and enjoy the run up to the wedding, take a few minutes out of the day to take it all in. 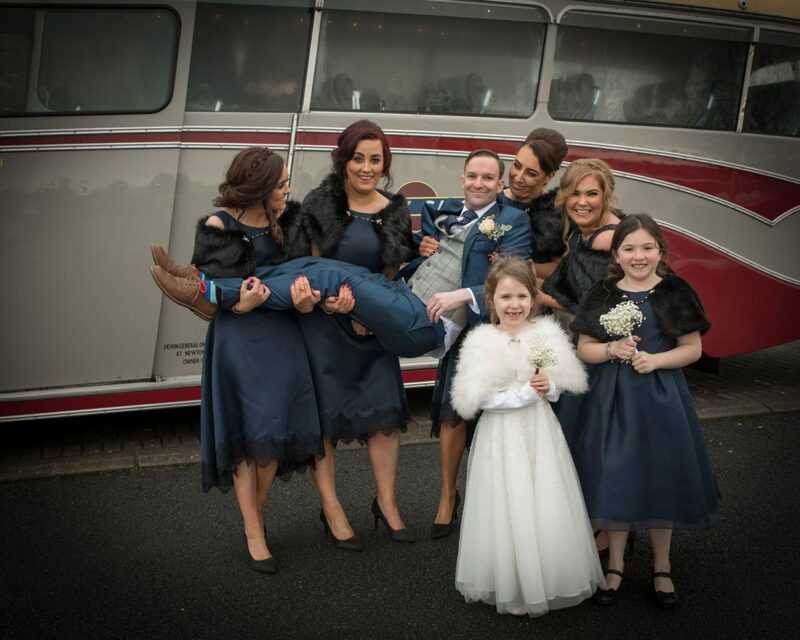 Do up a list of photographs you want taken and arrange a friend or bridesmaid to organise the group pictures for you, I found this part stressful on the day.